I have believed – for what felt like an eternity – that my body defined me. I have thought that it defined my worth. My value. My character. I have thought that it said something about the very essence of Who I Am and – specifically – that Who I Am was inferior, inadequate, lacking, broken, unlovable and meaningless. 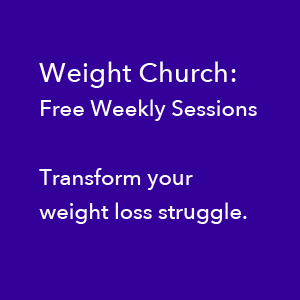 I have thought that reaching some Ideal Weight would make up for all these failings, foibles and flaws. 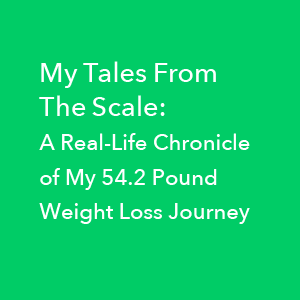 I have put almost an entire life on hold UNTIL the weight was conquered, UNTIL I was presentable, UNTIL I could get my weight DOWN so I could measure UP. I have spent a lifetime filled with “WHEN I…THEN I… Thinking”. WHEN I lose weight, THEN I…can dare to dream. WHEN Iam finally thin, THEN I…can follow my heart. WHEN I fit intosize 6 jeans, THEN I…will be the person I’ve always wanted to be. WHEN I conquer this “issue”, THEN I...will believe I am ENOUGH. But now, enough is enough. I will simply Be. Enough. Now. I declare that there is no condition and no circumstance EVER when it is VALID to turn my back on myself, relegate myself to second class citizen, lock my dreams away in a closet, or believe that my very Soul is damaged or lacking in any way, shape or form. My body is not a vehicle designed to frantically seek destinations where, upon arrival, I can acquire value. It is not a vehicle to be driven unendingly toward dangling carrots of worth – like size 6 jeans. My body is my earthly vessel where Spirit flows through me and as me. a valid reason to put my life on hold or to declare myself unworthy of moving forward until I lose weight. I will not be more because I weigh less.